The main purpose of the eleven contributions to this volume is to reconsider and re-assess the role of cores and peripheries in shaping modern socio-technical systems. From this perspective they explore a terrain of highly complex systems mainly operating on the so-called Western model: Railways, telegraphs, motor vehicles and airports were, in fact, all born in classic cores areas in the West and then spread out into the peripheries. The approach in itself is not new, but this volume has managed to bring out interestingly innovative elements and viewpoints. 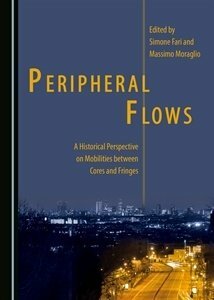 The contributors are not content with the traditional definitions of peripheries and flows, but tend to put them to the test, revise them and eventually offer critiques. The result is a tempering of the monolithic and traditional concept of a one-way transfer. No longer, therefore, a simple and linear act of adoption, but a recourse to adaptation – changes in meaning, use and perception. The volume is a starting point for future explorations on the subject of science and technology studies and takes part in a wider discussion of globalisation, global and transnational history.